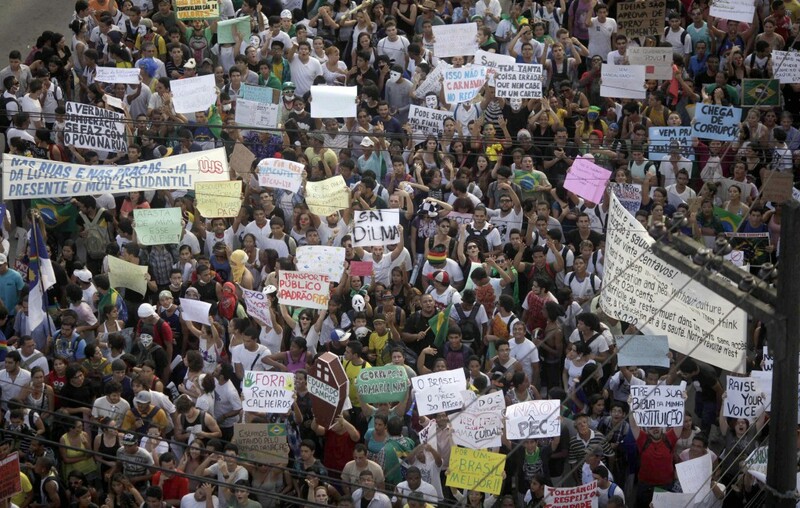 The street protests involving hundreds of thousands of mostly young people in cities across Brazil, and in other countries, are a sign of the youths’ desire for a more just world, but Christians must ensure the protests are peaceful and that efforts to improve society are guided by Christian values, Pope Francis said. The pope’s remarks July 27 during the nighttime World Youth Day vigil marked his first reference to the demonstrations, which broke out in June to protest a range of grievances, including government corruption, unsatisfactory public education and health services, the high cost of public transportation and police brutality. But it is not enough to protest, he said. And, he said, there is only one place to begin to make that change.